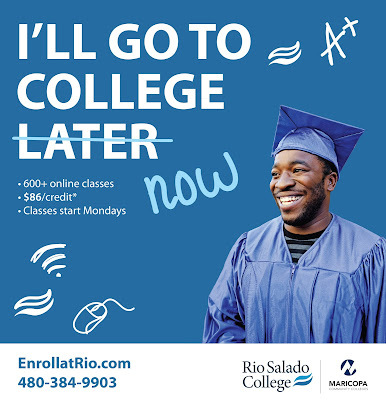 Rio Salado College | RioNews: New Year-- New You! Classes Start Monday. New Year-- New You! Classes Start Monday. Begin choosing your classes now: www.riosalado.edu/schedule. We’re ready to help you get started on your educational journey-- with advising, tutoring, new student orientation classes, GED® test prep and English as a second language programs, financial aid, work study programs, scholarships and more.